With the pervasiveness of social media, FOMO (or fear of missing out) is becoming a more common issue. Whether you’re seeing evidence of your friend’s trip to Bali or lusting over somebody’s new designer purchase, it’s easy to feel like the world is passing you by. FOMO is an ugly combination of jealousy, insecurity, and ennui with your own life in comparison to others. Everybody has experienced FOMO at some point during their lives, but it’s especially prevalent among the hyper-competitive world of music. Job scarcity, cut-throat auditions, and a plethora of other factors can make FOMO feel more personal to musicians. When you see your friends and colleagues traveling for performances, festivals, conferences, and other professional activities, it can feel hard to measure up. Remind yourself that you are creating your own timeline. The simultaneously wonderful and frustrating thing about music is that there are endless paths. There is no predetermined formula for success, and there are infinite ways to become a successful and happy musician. Remember that success is measured in many different ways. Figure out why you’re experiencing FOMO. If you get FOMO when your friend has a musical success, ask yourself why you feel left out. Are you jealous because you want their job? Do you feel like you are behind for not having achieved similar renown? Try to pinpoint the source of your FOMO and tackle this issue. You are only competing with yourself. Music is so subjective (both to the performer and the auditor), and you must only compare yourself to…yourself. You will always find musicians who can do some things better than you, and you will only bruise your ego and develop low self-esteem if you don’t stop the comparisons immediately. Remember that other musicians’ successes are not your failures. Revisit and recommit to your goals. When you’re feeling left out, it’s easy to lose sight of your goals. Visualize your goals and implement plans to help you achieve them. Write down your strengths. One of the worst parts of musical FOMO is insecurity. Congratulate yourself on your strengths and brainstorm areas in which you’d like to improve. Take some time to write down all of your strengths both on and off the instrument – your articulation, your stage presence, your audio editing skills, and anything other area in which you shine. One festival/conference/performance does not determine your entire career. I’ve spent many a summer at home or working while I saw my friends gallivant to exotic locations and study with incredible coaches. If you get FOMO during festival season, use this time to work on your own projects and emerge stronger and more self-assured. Take action. The best way to avoid feeling left out is to lean in! Schedule upcoming projects and performances to focus on. Network and collaborate with new musicians. Create an artistically fulfilling life. Regulate your social media usage. FOMO is nothing new, but it’s a lot more common with social media. Decreasing the amount of time you spend on social media will help you focus on your own projects and stop comparing yourself as much to others. Remind yourself that social media is carefully curated. The next time you see somebody’s photo with an international soloist or debut recital at Carnegie Hall, remember that social media never tells the entire story. We just see the highlight reel – nobody talks about how terribly they played at their lesson, how they made a horrible memory slip in their concerto, or how they never got past the pre-screen round of auditions. Nobody is perfect, so don’t believe the illusion. Leave a comment with your advice for overcoming musical FOMO! Great advice, Jenny! This is an important reminder for us all. Thanks! Thank you so much! 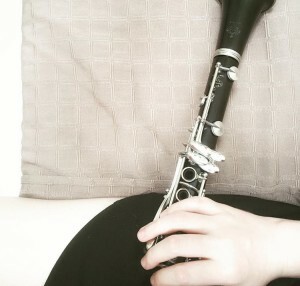 I hope you’re doing well, and I’m looking forward to seeing you at ClarinetFest!